I seem to tie or tuck raffia into almost all of my fall vignettes. It reminds me of straw, and I love the way the wind blows it back and forth outdoors. Here are examples of my fall raffia ideas. I tied some raffia on my funnel Jack o'Lantern here. I used raffia under a pumpkin like straw. Here I used raffia tied on the legs of the rusty crow and Spanish moss under the mini pumpkins. These vignettes with raffia were on my covered patio last year here. 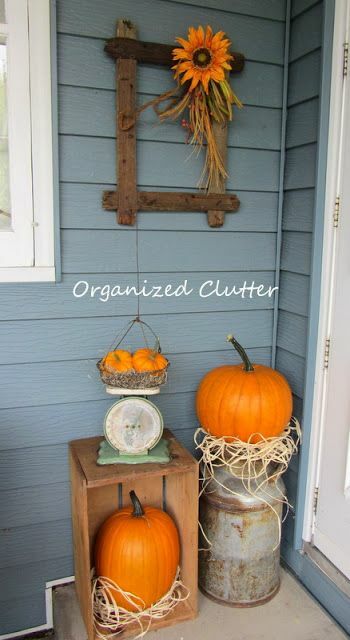 I put raffia in a bucket of gourds, and tied it on a sign and the wooden daisy here. I tied raffia on a harvest sign here. I also tied raffia onto my trouser hanger door swag here. Raffia is also great for filling in autumn container vignettes like this crate here. Or in this toolbox container vignette here. Or with these funnel "cornucopias" in a soda crate here. 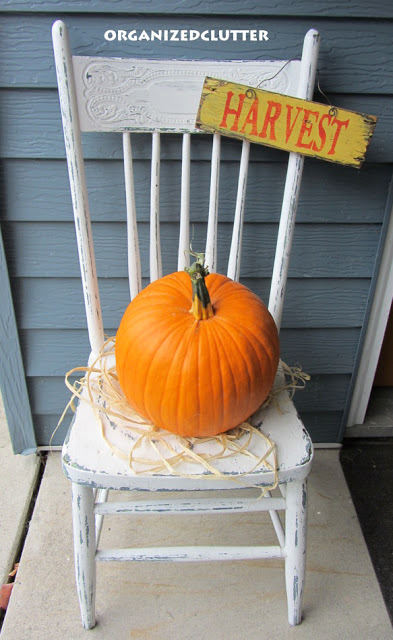 I also tie raffia on with fall leaves, like on this bun warmer re-purposed pumpkin here. Or this gear jack o'lantern here. How about you? Do you use raffia in your fall decorating? Your fall inspirations are getting me ready for some decorating!! Love your creative ideas! Also your Fall header. Great uses for raffia! I especially loved it used as a "nest" for the pumpkins! 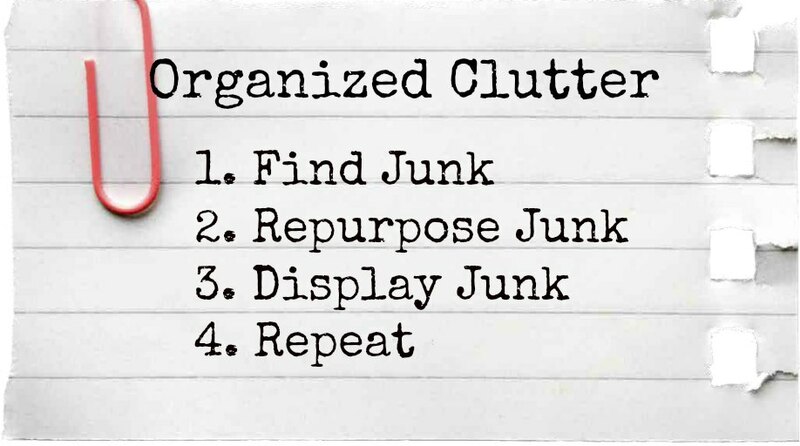 I'd be thrilled if you shared this at my Creative Ways Link Party! A new one goes live every Wednesday at 8pm central. Hope to see you there soon! You pulled together some of my favorite things. These are great Fall Vignettes. Girl....I am so loving every single part of this post!!!! 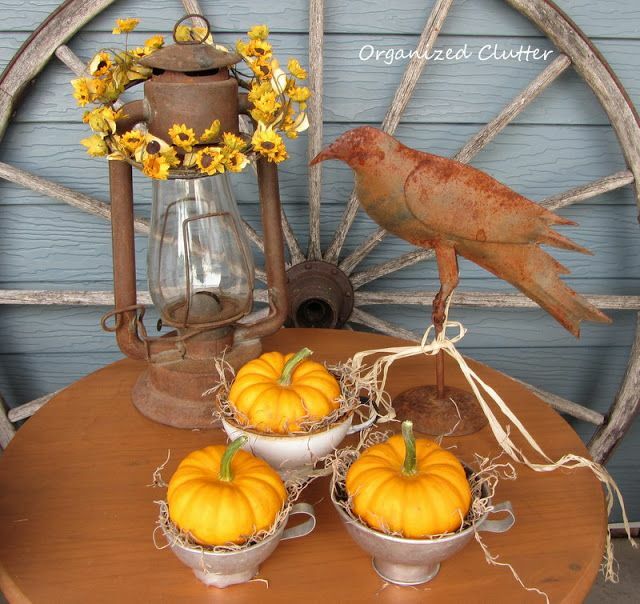 Carlene ... Love all your Fall decor ... I need to get inspired. Cool weather this morning may help. Thanks for sharing your lovely ideas. Great vignettes.....love all of them........so creative! Enjoy the weekend and have fun! Love all your Fall decorating! I do use raffia in my Fall décor too.